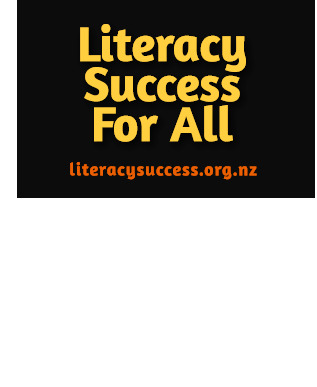 On Tuesday 1 September, Professor James Chapman from Massey University will present the results of the first year of the Shine Literacy Project. This will take place at Whitireia NZ's Main Campus in Wi Neera Drive in Porirua - Rooms W239 and W240. The presentation will take place from 5.45-7.00 pm. There will be an opportunity for light refreshments and information conversation between 5.15 pm and 5.45 pm and after 7.00 pm. Professor Chapman will explain the results and their significance in terms of educational outcomes. You can read more about the project and see the results here. As part of the project, the Comparison schools had the option to take up the Sounds Like Fun approach during the second year of the Literacy Project. Eleven of the fifteen Comparison schools have taken up this option. This means that there will be 114 Year 1 and 2 classrooms in 28 schools (approximately 2500 children) using this approach in the second year. What has made this project so exciting is the enthusiasm of teachers and the collegial support within and between schools. We are looking forward to this expanding as new schools and teachers come on board. We are currently working to source funds to cover costs for the next year of the project. Original generation time 1.5523 seconds. Cache Loaded in: 0.0415 seconds.